Rebooting into recovery can be useful. Sometimes you get caught in a bootloop, sometimes it is just good to use for other activities that can be done through the UI, but as always, it is good to know more than one way to interact with your phone. Simplest answer, recovery can be used to clear the device cache, sideloading updates, factory resets, etc. 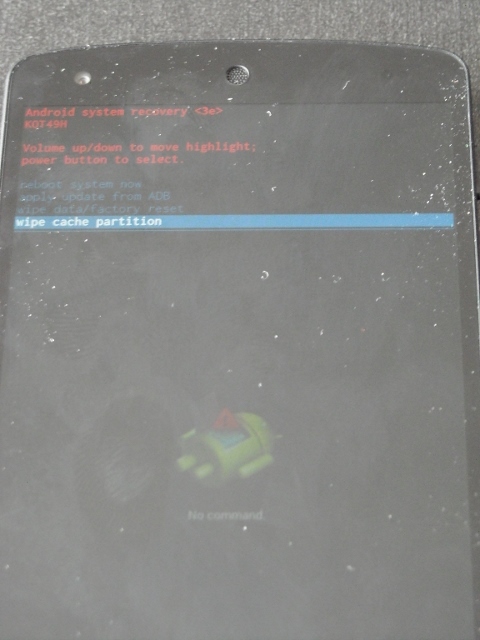 I will show how to boot into stock recovery, and how to do a simple task, like clearing the device's cache. This exercise will give practice on booting into recovery, and allow you to perform an action that is NOT detrimental to the device. Volume buttons navigate through choices, and power accepts. 2. Hold both volume buttons and the power button. When you feel the vibrate, release. 3. 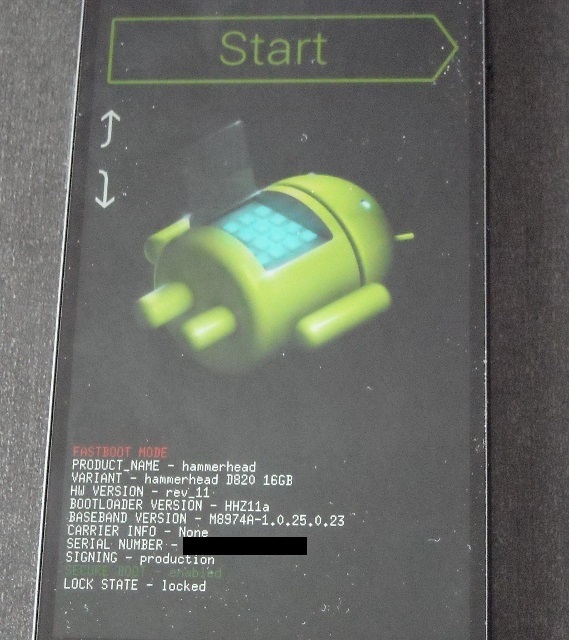 You will see the Android logo laying on his back with his chest panel open, along with the device info and options. 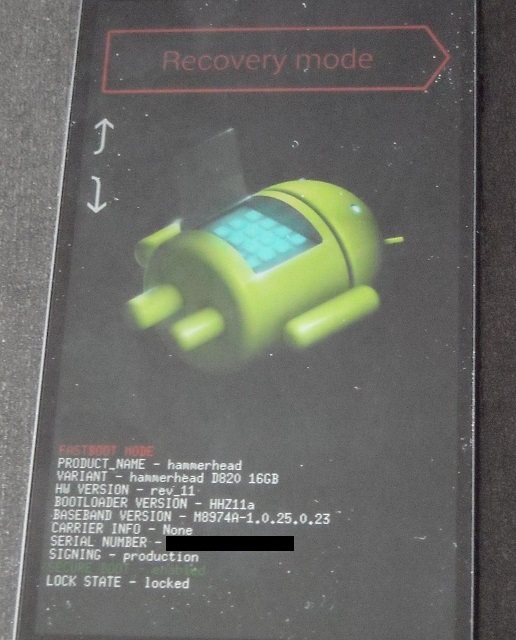 The home screen for rebooting into recovery. 5. Once there, you will see No Command. Press and hold Power and click volume up like you want your music to go up one increment. 6. You will then be shifted to the Recovery screen. 7. Use the volume Rockers to navigate to what you would like to do, and power accepts the selection. Use the rockers to go to 'Clear Cache Partition'. 8. To reboot, click reboot system now. The option you need to get back into your device normally. I have cleared cache several times on my Nexus 5, and each instance takes between 5 and 10 minutes. crxssi, RobAl33, pitchblende and 11 others like this. By clearing cache am I in any way deleting apps or necessary files that I myself have added? No. When apps are run, they are "compiled" and then stored in the cache, then the copy in the cache is run. If the cached version is missing, it will simply rebuild that app in the cache when you start it the next time. The procedure does not remove apps, nor any settings for those apps. Occasionally a cached version of an app can become corrupt and cause issues with apps crashing or the OS acting strangely. This is why if that happens, it is recommended to try and wipe your cache partition. You can also do something similar and faster by going into settings-> Storage-> Cached data-> Clear cached data. This will do same thing as wiping the cache partition, although it will not reformat it. Okay, what happens if it keeps optimizing the apps every time i reboot? This is going on in my nexus 5 and I have to wait at least 10-15 mins for it to finish. Are you running the device with Android Run Time? The only way I know how to roll back to 4.4.2 is to reflash the factory images which will wipe your device. 1) Your text says "Use the rockers to go to 'Clear Cache Partition'." Yet the photo shows "wipe cache partition". Might seem like a minor difference, but technical documentation shouldn't include discrepancies like that. The above seems like a step 7.5 that maybe you could include in your helpful post? It took nearly 20 minutes for my N5 to get "cache wipe complete" (and thus go from step 7 to step 8). but the above solution doesn't help. My phone died while trying to open the camera app. It was more than 80% charged. Now it won't turn on. When I plug it into my computer, the computer recognizes a device has been connected/or disconnected (i.e. it beeps accordingly) but the device isn't visible as a extra drive, and the phone does not indicate that it is charging. I tried holding down the buttons for more than 20 seconds and no response. Just now the battery symbol came back while connected, and i was able to turn it on. Should I be concerned that this will reoccur? Welcome to Android Central! Are you sure the phone died, or did the screen just go blank? If the phone truly died and powered off, I don't think it should register with your computer when you plug it in. If the screen itself went blank but the phone was still on (but frozen for some reason), then it would make sense that the computer registers it when you plug it in. When you pressed and held the power button for 20 seconds, maybe nothing happened because you actually forced it to power off, and since the screen was already blank, there was no way for you to know you powered it off. Did you try pressing the power button again afterwards? After i completed step 8 my phone is still trying to reboot after 30 minutes. Is this expected if i have never wiped the cache before? So now my phone is completely dead. It won't turn on or even indicate it is being charged. I would press and hold the power button to simulate a battery pull. See if that helps. Still nothing. I have pressed the power button for 20+ seconds without and with the volume buttons. Can your PC recognize the device if you were to plug it in? My phone suddenly switches off and when I try to boot it then it either gets stuck at the google logo or loads normally. It kept happening so I tried the recovery mode and cleared the cache.But my phone is still responding in the same manner, it either hangs and switches off and then hangs at the google logo when turned on or works normally for sometime and switches off. Try a reset in recovery. See if that will help. Hi, I need help! I have a Nexus 5 rooted. It randomly started updating while I was browsing in chrome. I wasn't really paying attention and resulted in no phone/internet. I decided to try to reflash my ROM. Thinking thats where it went wrong but when I try to go into recovery mode, I do not make it past the blue teamwin screen. I am trying to figure out how to go back to stock but not sure what went wrong. I've been looking online for fixes about a week and am now completely confused. I think it could be an issue with the cache partition i'm not really sure. Can anyone help or point me in the right direction? PLEASE!!!!! Check out YouTube for videos on how to reflash stock ROMs for the Nexus 5. You are going to have to set up your PC and it might take some time. Thanks for the advice. 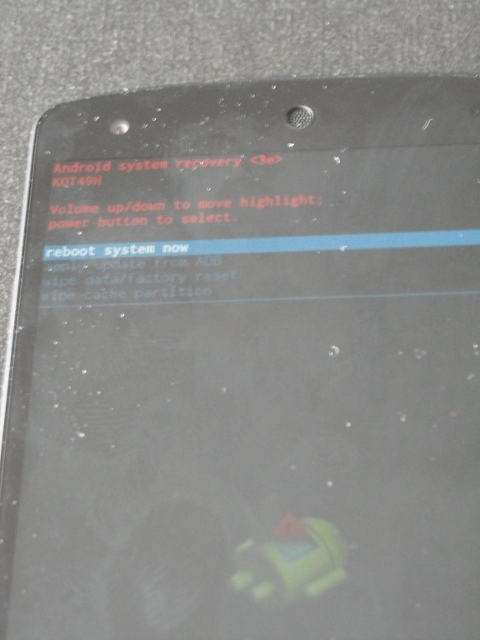 I tried to reflash stock ROM. Followed all the directions. Downloaded drivers, plugged in phone but no luck. I just kept getting the message "not recognized as internal/external command, operable program or batch file." I'm a noob but I followed all the directions to a T.
So, because I am desperately frustrated and don't know how to fix, I am going to give a rundown of what seems to be happening with my phone and plead for help! I was using my phone and the next thing I know it starts updating. I didn't think anything of it because I hadn't had a rooted device in a long time. I was just assuming the new Google lollipop update was pushing through. I put the phone down. Came back an hour later panicked (and rightly so) remembering that I had rooted and was using KandyKat. NOW: I can start the phone. It will start up and take me through set up. It does not connect to my network. Wifi connection does work and the some apps are installed and functional (gmail, people, browser). camera, gallary, Playstore will open and let me browse but as soon as I try to download anything it fails and I get the a message: No external storage available. When I try to go into recovery, it loads the black screen with the white google written across. Then it goes to the teamwin screen and stays there. I am sorry if I posted this in the wrong place but nothing seems to match what is going on with my phone. I was just trying to do a recovery but cannot get to the recovery screen. HELP! You might need to reflash stock images through ADB. I am not very proficient with this, however, there are many YouTube videos on how to do this. 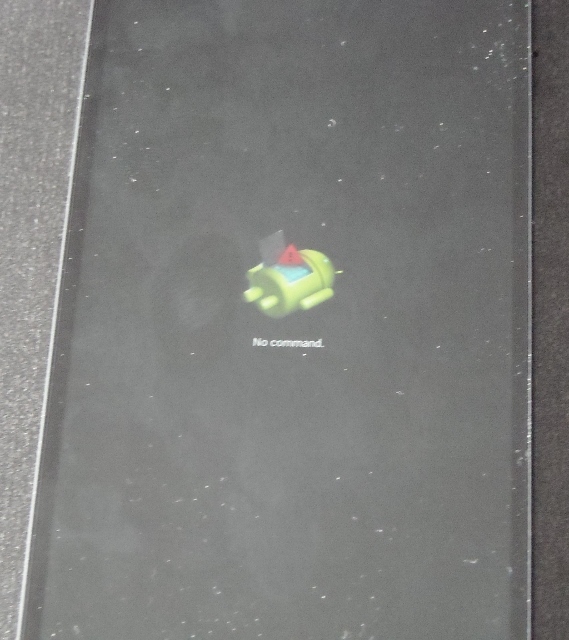 Help I think my nexus 10 is havng major OS issues stuck at Android 4.2? New-ish Nexus 10 Micro-USB cable only 4 pins?